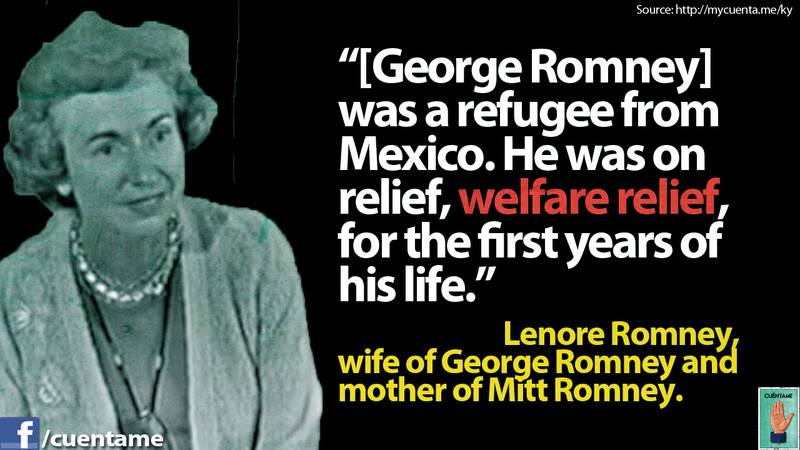 Mitt Romney's Father Was a Mexican Refugee Who Was on Welfare. Queue Gasps. Hear it from the person closest to George Romney, Lenore Romney. See what money can do to you, I agree, I don’t want him in the White House also. Is this what a Republican says to get the Latino vote? Mittens went wrong because he was raised as a rich kid and never had to worry about money. George Romney was good for Michigan. How did the Mittens go so wrong?